Bill Gaston's writing is so clean and self-effacing that it is remarkably easy to overlook the careful technique behind it. His novels and stories read breezily; his characters are recognizable figures, their situations relatable (if frequently exaggerated for comic effect) and his dialogue is natural and unselfconscious. The work is so crisp and welcoming that a reader is apt not to notice the diligence with which the author is striving to set his emotional traps – until those traps spring shut, catching both character and reader completely off-guard. Such a moment of surprised awareness occurs in The Church of Manna, Revelator, one of 10 stories in Gaston's hugely entertaining new collection, and it involves a plate of poutine. The protagonist, Joel Biswa, finds himself in an anonymous middle-American truck stop, where he is dining alone. He has blown through an inheritance provided by his uncle and now faces a life of destitution, with only the debt on his credit cards and his Lincoln SUV to his name. After an encounter with a belligerent trucker and some back and forth with the truck-stop server, Joel receives his meal, the so-called "Poutine with Zesty Sauce." The dish – a virtually inedible confection of desiccated fries, gravy from a can and sriracha – comes to symbolize the sense of abject failure that has dogged Joel even in his erstwhile free-spending days. "How was it possible to go to such good places, to open your wallet at the sight of honest bison-hide sandals or the smell of Prawns in Sauce Ambrosia or the promise of a course in Genuine Heart-Liberation and to sleep when you want and do three-metre cannonballs into the pool when you want – How was it possible to do all that and still end up feeling mostly bad?" Joel – who had even tried to change his name in an unsuccessful attempt to create for himself an identity he could take pride in – lies to the server about the quality of the food and in that instant of duplicity we catch a glimpse of loneliness so profound as to be utterly heartbreaking. The effect is heightened by the matter-of-factness with which it is presented: Gaston refuses to inject an element of artificial poetry or lyricism into his scene, instead allowing the interaction to unfold devoid of ornament or bland exposition. And that's not even the end of the story. Joel, seeking spiritual succour, winds up at the titular church, where he becomes involved in a bizarre ritual that is at once symbolically resonant and patently absurd. What began as a naturalistic examination of dejection and defeat becomes a comic send-up of institutional religion and the lengths people will go to in order to find inner peace. The disparate elements within the story could easily appear discordant; what prevents this is Gaston's confidence in manipulating tone and situation such that the work operates as a unified whole. Gaston's preferred mode has always been tragicomedy, and the stories in A Mariner's Guide to Self Sabotage are no exception. The entries run the gamut from an eco-terrorist who infiltrates a fish farm on B.C. 's Toba Intlet (Kiint) to a husband's plan to provide for his daughter while also ending the suffering of his dying wife (Drilling a Hole in Your Boat) to a man who makes a staggeringly ill-advised declaration to his lesbian sister (Carla's Dead Wife). There are also experiments with narrative form, including an epistolary story (Hello:) and a story told entirely in dialogue (The Return of Count Flatula). Each of these is marked by an insouciance in the telling and a warm empathy for the characters and their plights. Only Oscar Peterson's Warm Brown Bench, intended as a parable about racism, doesn't quite hit the mark: Its invocation of the iconic Canadian pianist feels a tad forced and the story's themes feel underserved and too pat. But taken in the context of the entire collection, this is small beer. 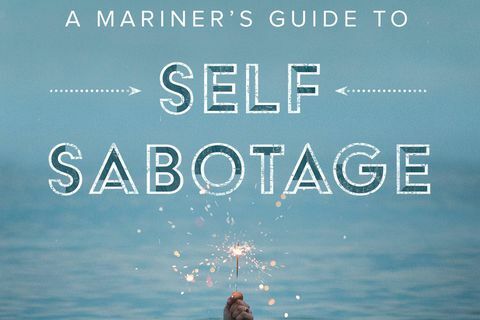 A Mariner's Guide to Self Sabotage is further proof – as though any further proof were necessary – of Bill Gaston's surpassing mastery of the short-story form. If Gaston's technique is largely submerged, Vancouver writer Cynthia Flood's is apparent right on the surface. This is not meant as a criticism, merely to point out that the two writers could hardly be more different in their approaches. Flood's stories are elliptical, teasing and defiantly literary, her style tending to impressionism that manifests itself in clipped, frequently fragmented sentences: "Handwritten. Ruled yellow sheets. Undated. Bright staples. The signature, familiar. Ex-organizer Doug can't spell – yet here's a clear plan for a secret faction." That passage appears in a story called History Lesson(s), which typifies Flood's stylistic and thematic range and ambition. Shuttling between 2009 and the late 1970s, the story focuses on Harold, a Vancouver bookseller and one-time member of a far-left group of socialist radicals. The story is a satire of power dynamics and the betrayal of idealism that frequently accompanies political movements; it locates itself at the nexus between Marx's recapitulations of history (first as tragedy, then as farce), and exemplifies Flood's dry humour (a radical feminist sect types a note on a typewriter with a defective capital T, rendering their complaint about "the Trots" – i.e. Trotskyites – as "he rots"). History Lesson(s) draws on Flood's own experience with leftist activism and perhaps as a result has the feel of lived experience. Along with Struggle, it forms a kind of companion to her earlier story, Blue Clouds, from the 2013 collection Red Girl Rat Boy. That collection featured stories that were by and large more expressionistic than those on offer in What Can You Do, although both collections share a facility for containing layers of meaning and implication in very compact spaces. Running fewer than 150 pages in total, the dozen stories in What Can You Do are dense and compressed, demanding close and slow reading. This is especially true of Struggle, which is told from the perspective of an unreliable narrator suffering mental illness. And the collection will challenge readers who insist on easily relatable or sympathetic characters in their fiction. Flood is hardly an unforgiving writer, but she is also unafraid to confront figures who may not be entirely upright or honourable. The haughty tourists roaming through France in Dog and Sheep, for example, or the couple in Summer Boy, who use a young family member as a pawn in their marital power struggles. Perhaps as a result of their density, perhaps also as a result of the relative similarity in prose style throughout, these are stories that are best read one at a time, rather than back-to-back. Flood's style is plangent, but can appear repetitive if the stories are read as a unit. Better to parcel them out and let them simmer in the mind, then return later for another dose, once the initial dose has had a chance to take effect. Steven W. Beattie is reviews editor at Quill & Quire and writes a monthly column on short stories for The Globe and Mail. Funding for school libraries in Canada is woefully inadequate and children at high-needs elementary schools are paying the price. Read Between the Lines, a documentary produced by the Indigo Love of Reading Foundation, captures the importance of early literacy and the challenges we face in Canada by underfunding school libraries. Review: Seamus’s Short Story, Mr. Crum’s Potato Predicament and Can You Find My Robot’s Arm?